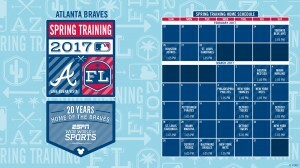 The Atlanta Braves are returning for spring training at the ESPN Wide World of Sport for the 20th year. 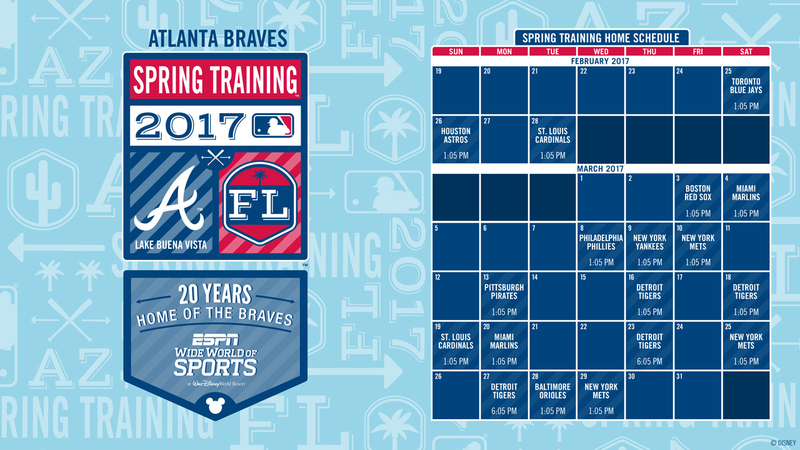 The spring training schedule features games against the Toronto Blue Jays on February 25, the Boston Red Sox on March 3, the Baltimore Orioles on March 28, and the New York Mets on March 10, 25, and 29. Other teams on the spring training roster include the New York Yankees , Detroit Tigers, Houston Astros, St. Louis Cardinals, Miami Marlins, and the Pittsburgh Pirates. Players start arriving at Walt Disney World in mid-February and the season opens on February 25. Tickets for the spring training games go on sale December 12 online.